I completed the first Mass Effect as a male Commander Shepard on my PC and enjoyed it except for the slow running (out of combat) and pointless Mako sections. When I created my character, I choose the gang life story background because I figured it could explain the eyebrow scar I added to my character. I decided to choose Ashley as his love interest and didn’t even know the guy (Kaidan) who died on the planet was a member of my crew! 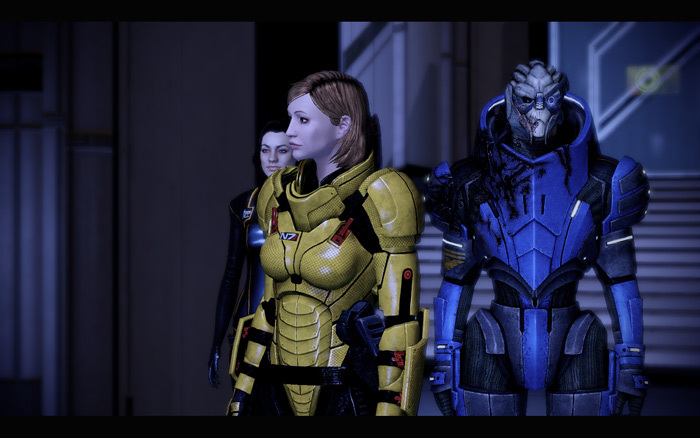 In the end, I saved that miserable Citadel Council, chose Anderson and all the story characters (Wrex, Rachni Queen, Random NPCs) survived their encounter since I played through as a Paragon. The universe is in trouble and an ancient race of machines is going to reclaim their right to rule by wiping out all organic life in the galaxy. The Geth machine race starts out as the primary enemy in the game until we realize the superhuge Reapers were using them as puppets. The Reapers lie dormant on the edge of known space awaiting the time to eradicate all life as part of their programming. In Mass Effect 1, one of the Reapers named Sovereign awoke and wanted to use the Citadel to summon the other Reapers from their slumber. To do this, Sovereign used Saren, once a above –the-law Spectre, as a puppet to interact with organic life and set his plan in motion. 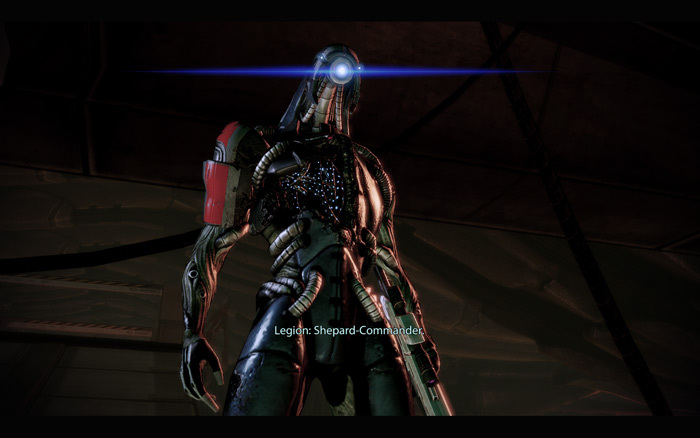 Commander Shepard with his influence talked Saren into standing down but not before Saren committed suicide. Sovereign is defeated by the entire space armada and the Citadel Council or hundreds of civilians are killed. 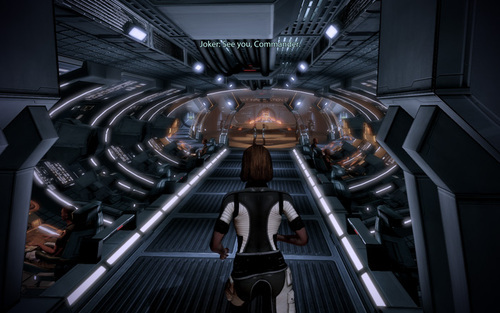 In Mass Effect 2, the game starts with Shepard on the Normandy exploring a random sector of space. His ship is surprise attacked and critically injured. 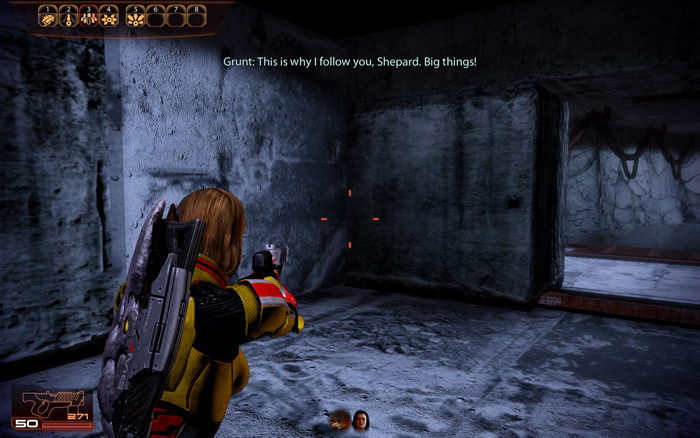 Shepard sacrifices himself so his crewmates can escape and his dead body floats toward a planet. The Cereberus Network picks up his organic pieces and spends many years recreating Shepard. “We can rebuild him. We have the technology”. 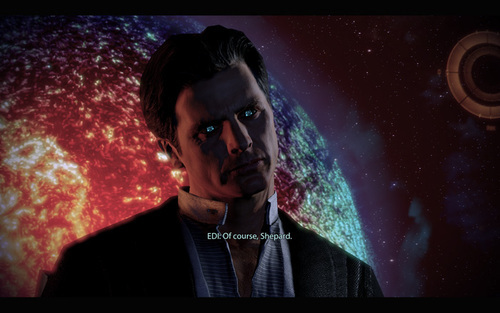 Skipping ahead, Shepard is “revived” by a group called Cerberus and given control of a new Normandy by the enigmatic person who calls himself the “Illusive Man.” The Illusive Man believes the Reapers are still a threat and wants Shepard to investigate. Shepard is tasked with building a crew with enough skill and knowledge to eventually survive a trip through the Omega 4 relay, a super dangerous mass effect gateway to Collector space. The Collectors are bug-like aliens who can possess living organisms and are the main threat in Mass Effect 2. Welcome back fan favorites like Garrus, Tali, the Doctor and Joker. New faces include the best scientist in the galaxy named Mordin; not only did he create the Genophage which crippled an overpopulated space race, he is a renown singer of Gilbert and Sullivan. The Normandy AI named EDI is hilarious with its banter with Joke over his piloting and annoying habits. Also of note is the “ultimate Krogan lifeform” named Grunt and a Geth team member named Legion (who I barely used). I decided not to use the Cerberus Network to unlock the DLC squad member; I might go back and add him with a near end game save. I also did not buy any of the DLC so I don’t know Liara becomes the Shadow Broker or other possible spoilers. My Shepard decided to remain faithful to Ashley and informed his assistant there was no chance of romance. 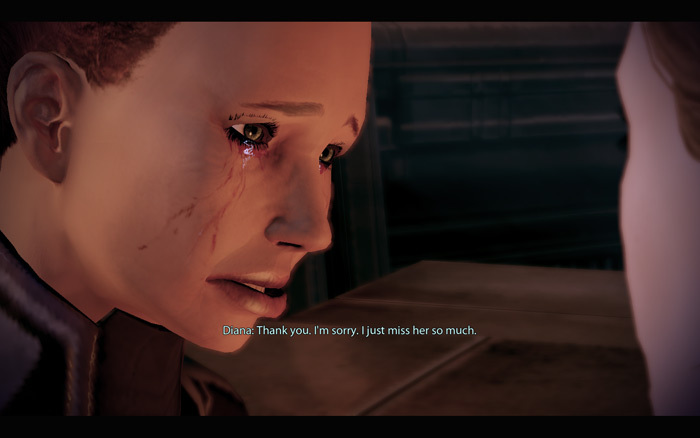 I was disappointed there was no real romance between Shepard and Ashley when they met again. Yeah she thought he was dead, but he’s back. Ashley is more likely to accept a zombie human than ever contemplate inter-alien relationships. She is a Xenophobe after all. With the Miranda/Jack argument, I didn’t have enough Paragon points to remain neutral. I sided with Jack since she has been a prisoner since birth and Miranda is genetically perfect except for her attitude. Thus I lost the loyalty of Miranda and wasn’t able to save her from her future death. With the Tali/Legion argument, I was able to choose the Paragon response and retain both member’s loyalty. I did all the loyalty missions for each character. With the choice to do Legion’s loyalty mission and converted the Geth, I had unknowingly delayed entering the Omega 4 relay and lost most of my crew members. As soon as the Illusive Man requested I keep the Collector ship alive to later harvest technology, I thought he was crazy. I mean for me, with the most technological ship and experienced crew, I ended up with a crew of casualties + Miranda. There is no way Cerberus could successfully navigate the Omega 4 relay and use the technology. It just felt so infeasible so I decided to blow up the Collector Ship. I have a hunch the Illusive Man is the leader of the Geth with his Geth eyes and the ability to huff cigarettes everytime you see him. Plus he used Shepard as bait to get the IIF transponder. 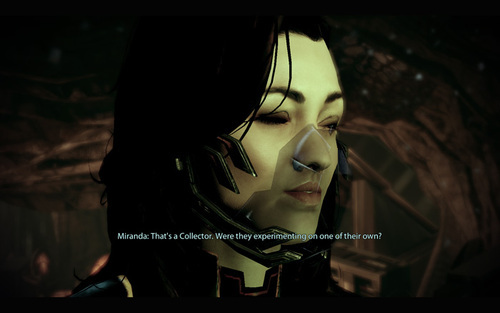 He is not going to be happy when he realizes his perfect woman Miranda is gone in Mass Effect 3. At least Miranda has a sister who is also genetically perfect? 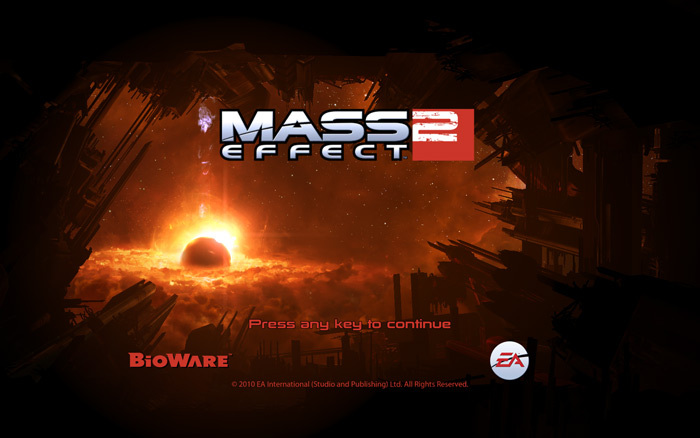 The original Mass Effect had the Xbox 360 as their development platform and later ported the game to PC. As a result, first game graphics on 360 suffered from excessive texture pop-in. On PC, the texture popin was eliminated at least on my powerful PC and the overall game was sharper. For the time on PC, some of the graphics ranged from average to high end. For Mass Effect 2, this game graphics show they were carefully coded to maximize the PC hardware. The game was developed simultaneously on PC and 360 with great results. The faces are much higher quality, the textures, shadows and colors are better. I ran the game on the highest level of graphics at 1440 x 900 with the noise filter off. The game ran really well with usually 30 FPS + on my Core i7 920, ATI 4850, 3 gigs of RAM computer. The guns sound beefy and nightclubs sound bass-y. The voices are crisp and each voice actor puts the necessary emotional inflections to make the game seem realistic. Harbinger’s “TAKING CONTROL” is both disturbing while other times laughable. The music already passes my test by including the same galaxy map music. There is really too much to cover here and is best left to the player to play the game and listen to everything. The sound delivers and is top-notch. 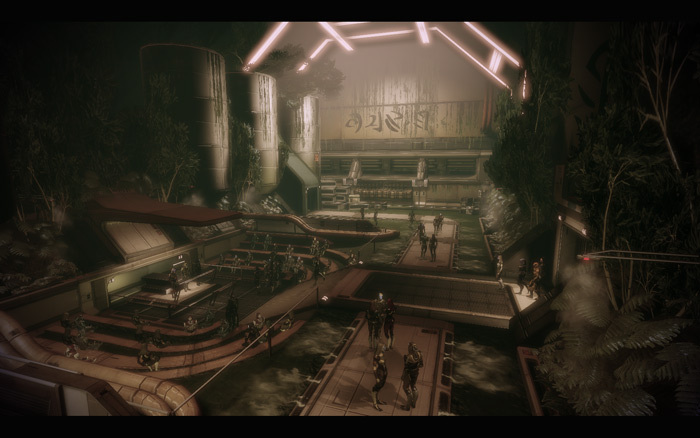 The first Mass Effect was full of barren worlds in which Shepard had to run slowly to the next destination or navigate using the annoying Mako ground transport. Combat was very simplified and for most of the game I felt overpowered with my biotic and tech powers. Biotic lift, shotgun blast, throw anyone? I could have easily swept through the game using only the sniper rifle getting headshots ala Yahtzee’s Zero Punctuation review but I decided to continue with pistols on the hard difficulty. I’m glad BioWare went from their classic die-roll combat to an actual FPS mechanic. It’s not a really visible change. The decision to include ammo over reheating was the best and largest change. The interactions with NPCs were the best part of the first game and I spent most of the time trying out all options on the dialogue wheel. 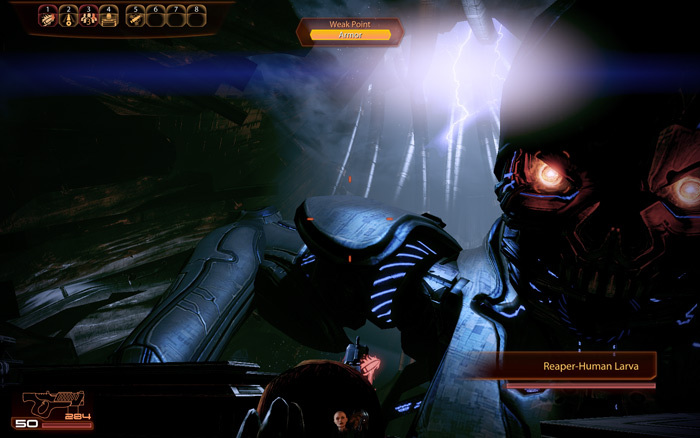 In the sequel, BioWare added the ability to interrupt conversation with Renegade/Paragon moves which was similar to the first Mass Effect E3 trailer. The dialogue is still well written and there is less repeated conversation trees. The conversation options lend themselves well to replaying the game as both a Paragon and a Renegade. Examples are usually the loyalty missions like the interrogation with Thane, Tali’s trial, Samara’s daughter dating and other landmark moves like activating Grunt’s stasis tank. The conversations are more memorable this time with each crewmember having their own personality. Regrettably there are no more “Wrex,” “Shepard,” “Wrex,” “Shepard…” dialogue. Harbinger is "Assuming Direct Control" over this review. "I am Harbinger. Impressive, Shepard. You cannot resist. You are bacteria. You are shortsighted. Pitiful. Nothing stands against us. You cannot escape your destiny, Shepard. We fight as one. We are limitless. Embrace perfection. This is not the conclusion." It was a full and clear review. It was nice to share this review for others to clearly understand the feature of the game.